MaGIC (Malaysian Global Innovation & Creativity Centre) has been appointed Cheryl Yeoh, 31, as first CEO from more than 100 candidates that apply for the job. Tan Sri Dr Mohd Irwan Abdullah, Secretary General of Treasury, Ministry of Finance Malaysia said Cheryl Yeoh chosen because of her experience in Silicon Valley in US, and she have successfully make an exist when her startup acquired by Walmart Labs in 2013. Actually, Malaysia need more entrepreneur that bring company from startup to IPO. However, it is very difficult for startup outside Silicon Valley or US to build a sustainable business after IPO. Even company in Europe like Skype also opt for being acquired rather than make an IPO. 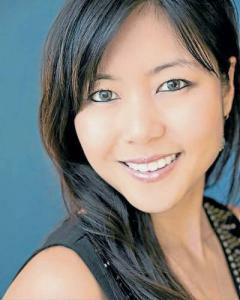 Cheryl Yeoh claim to raise funding from Dave McClure of 500Startups before her company being acquired by Walmart Labs. However, this is because of ecosystem or it is skill that Cheryl Yeoh able to bring to Malaysia is yet to be seen. Cheryl Yeoh also claim mentoring at Peter Thiel’s 20 under 20 Fellowship, 500startups, Founder Institute and Lean Startup Machine, etc. It seem she able to break the racial and gender inequality first in US and now in Malaysia. A barrier not easy to break, both in US and in Malaysia. Hope she able to bring change to startup ecosystem in Malaysia........Silicon Valley of South East Asia!